New Year's table is always full of goodies, but salads and snacks occupy a special place on it. I want to surprise the guests with something new, serve the dish in a beautiful dish and get thanks and compliments for it. 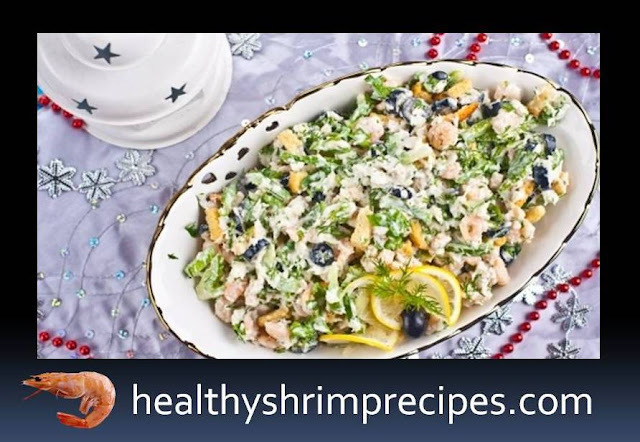 This Healthy Shrimp Fish Salad Recipe will do not disappoint, especially seafood lovers. 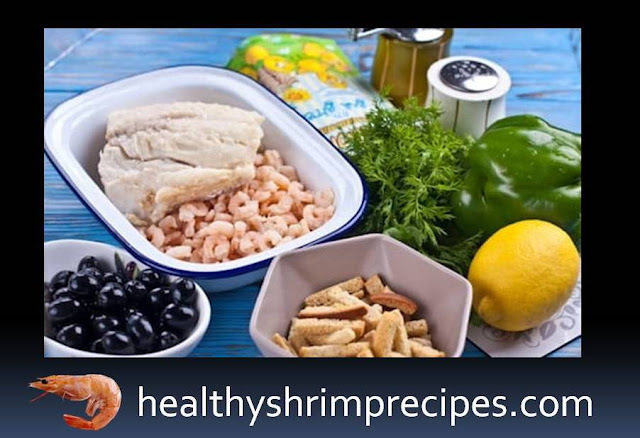 #Step 1 - For the Healthy fish salad with shrimp, you can use sea fish fillet or river, for example, pike perch. Shrimp can be taken any size, even the smallest. The color of pepper in this recipe does not matter, with red or yellow will be elegant and festive. Greens can be taken to taste, I prefer parsley, but dill is also suitable. 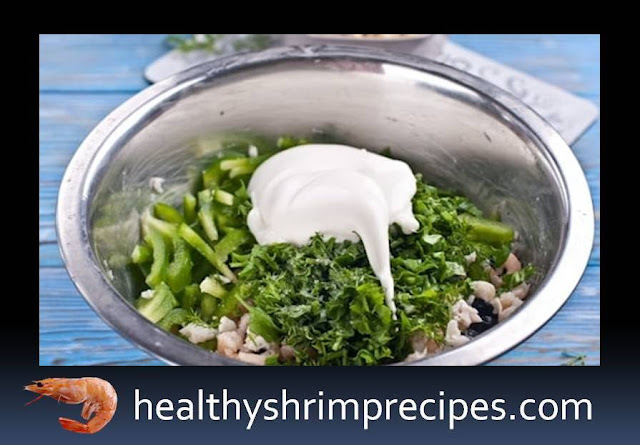 You can mix several types of greens by adding feathers of green onions. Choose crackers with your favorite flavor, for example, with greens and sour cream, with garlic or shrimp flavor. 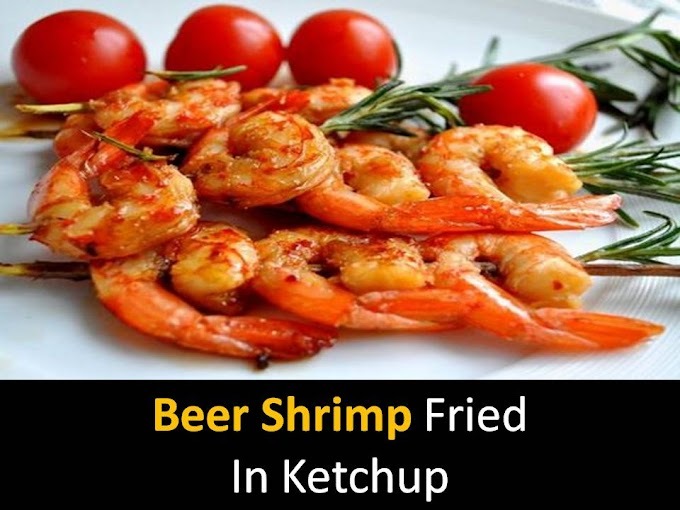 Pour the shrimp with boiling water if they are already boiled and frozen, or boil if they have not been cooked. Cool it down. Cut the fish into small cubes or stratify them with your fingers, thereby feeling the fillets for small bones. 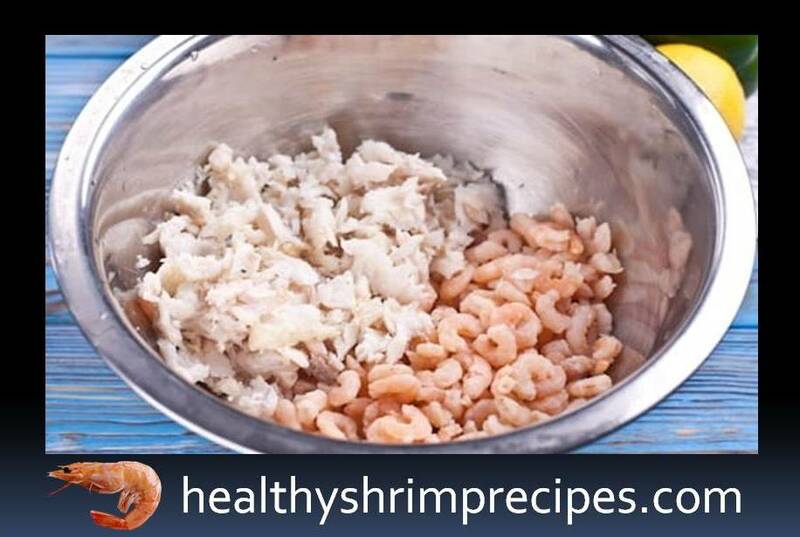 #Step 3 - Mix the fish fillets and shrimps in a bowl. Sprinkle with lemon juice, squeeze it out of two slices. 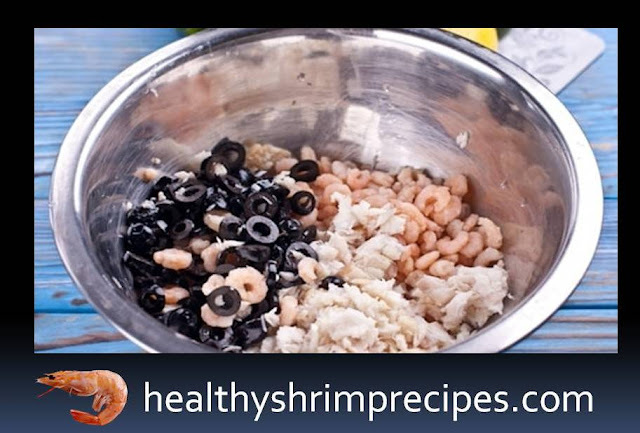 Slice black olives without stones and add to bowl. #Step 4 - Pepper cores and seeds, cut into thin strips or cubes. #Step 5 - Rinse greens, dry off moisture and chop. Add to the rest of the ingredients. #Step 6 - Dress the salad with mayonnaise. Adjust the fat content and the amount of mayonnaise to your liking. I use light mayonnaise and look at the salad - if the salad is well mixed and not dry, I don’t put it on. But if you like a more seasoned version, add a couple more spoons. #Step 7 - Season the salad with salt and pepper to taste and mix. Crackers should be added before serving. 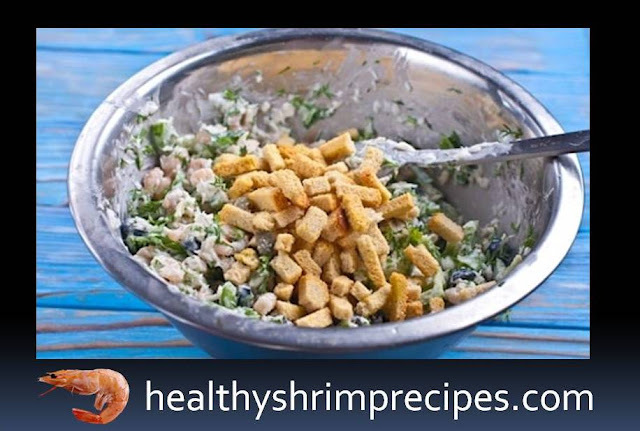 Therefore, fish salad with shrimps can be made on the eve of the 30th, put in a refrigerator soak, and before serving, add crackers and mix. Another option: mix all the ingredients on December 30th (leave all sliced and mixed ingredients in a container with a lid in the fridge), and season the salad with mayonnaise and add the croutons just before serving. #Step 8 - Put the dish in a beautiful salad bowl and garnish with a sprig of green and lemon slices. #Step 9 - Serve the fish salad with shrimps on the table chilled.